The Subsurface Hackathon 2016 is over! 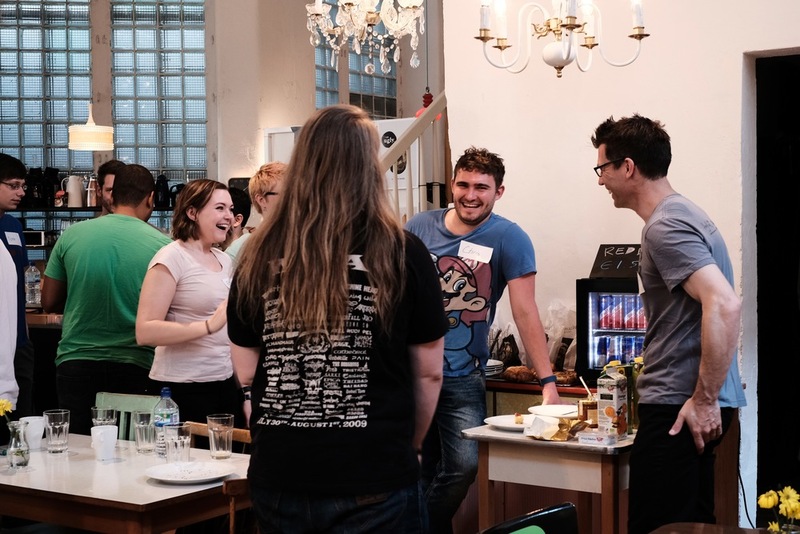 Seventeen hackers gathered for the weekend at Impact HUB Vienna — an awesome venue and coworking space — and built geoscience-based games. I think it was the first geoscience hackathon in Europe, and I know it was the first time a bunch of geoscientists have tried to build games for each other in a weekend. The format of the event was the same as previous events: gather on Saturday, imagine up some projects, start building them by about 11 am, and work on them until Sunday at 4. Then some demos and a celebration of how amazingly well things worked out. All interspersed with coffee, food, and some socializing. And a few involuntary whoops of success. Trap-tris — a group of lively students from the University of Leeds and the Technical University of Denmark built a version of Tetris that creates a dynamic basin model. Flappy Seismic — another University of Leeds student, one from Imperial College, and a developer from Roxar, built a Flappy Bird inspired seismic interpretation game. DiamonChaser (sic) — a team of devs from Giga Infosystems in Freiberg built a very cool drilling simulation game (from a real geomodel) aimed at young people. Guess What — a developer from Spain and two students from UNICAMP in Brazil built a 'guess the reflection coefficient' game for inverting seismic. I will write up the projects properly in a week or two (this time I promise :) so you can see some screenshots and links to repos and so on... but for now here are some more pictures of the event. The fun this year was generously sponsored by EMC. 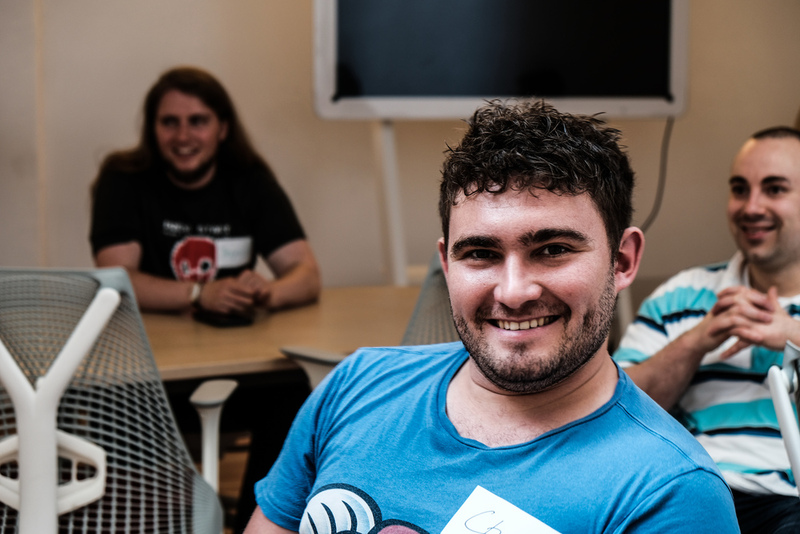 David Holmes, the company's CTO (Energy), spent his weekend hanging out at the venue, graciously mentoring the teams and helping to provide some perspective or context, and help carrying pizza boxes through the streets of Vienna, when it was needed.